Landlord’s and Gas Safety Inspection Certification. 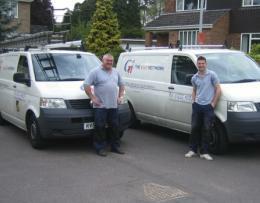 We can undertake plumbing works for both domestic and commercial premises. Whatever your requirements, please give us a call so that we can discuss them with you. We are qualified to carry out work on LPG and Oil-fired appliances and would be happy to provide a quote for the work you require. Please contact us for a copy of the full terms and conditions. It is a regulatory requirement for landlords to have all gas appliances in their rental properties checked and certified as safe by a Gas Safe registered engineer annually. We are able to provide this service for both private landlords and lettings agents. Many landlords also like to be covered by our service contracts so that their tenants can call us if there is a problem with their heating or hot water. We are pleased to be able to offer an out of hours emergency service. Our area of operation is in the Hampshire, Surrey, Berkshire counties working from our main base in Aldershot. However, we are happy to work further afield. Gas Safe Register replaced the CORGI gas register on 1 April 2009. 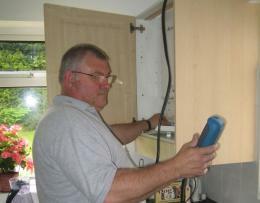 We are a Gas Safe registered company; registration number 178730. 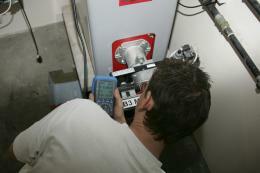 Boilers account for around 60% of the carbon emissions in a gas-heated home. If you have an old boiler with high energy usage you will be able to cut your carbon emissions and save money by installing a new boiler in your home. As a Worcester accredited installer, we are able to give a 7 year warranty on any new Worcester boiler fitted by us. Grants are available, subject to eligibility, for upgrading to more energy efficient heating and insulation. If you think you may be able to apply for a grant, please find out all the relevant information before having any work done as often you will not be able to claim your grant or rebate if the work has already been completed before you register. The Government scrappage scheme has now come to an end but please watch our website – if we hear of any new schemes we will post the information as soon as possible. We accept payment by cash, cheque, bank transfer or credit card.